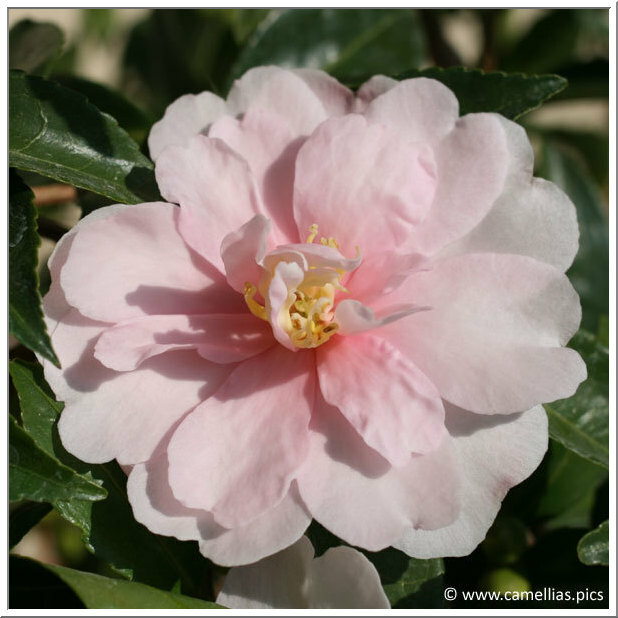 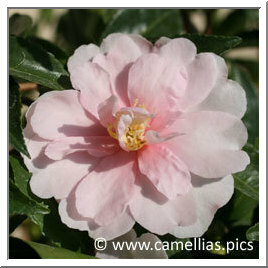 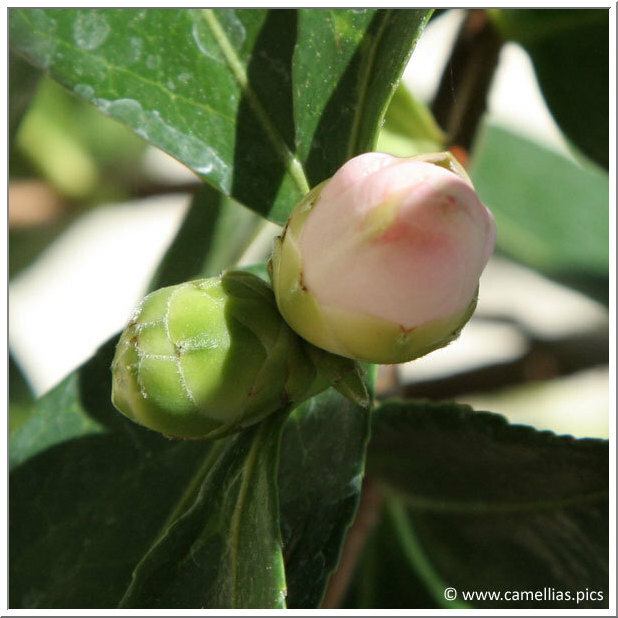 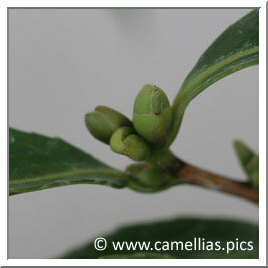 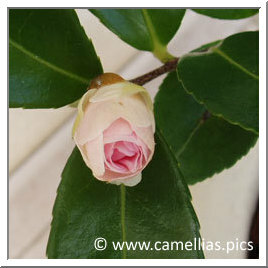 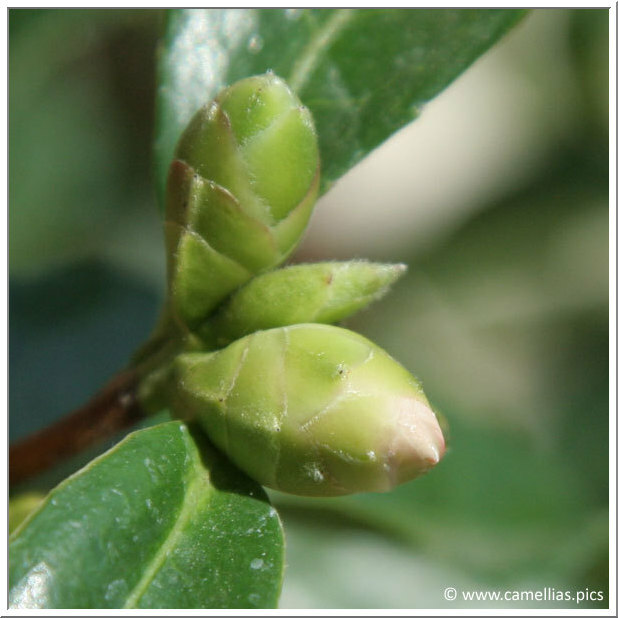 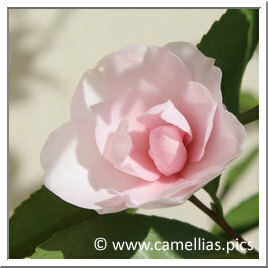 Each year, after flowering, the camellia prepares the following one&, here is, in some photographs, the bud formation, which, month after month, became a flower. We followed 'Jean May' a camellia flowering in autumn. 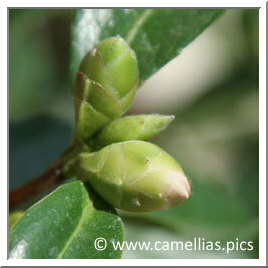 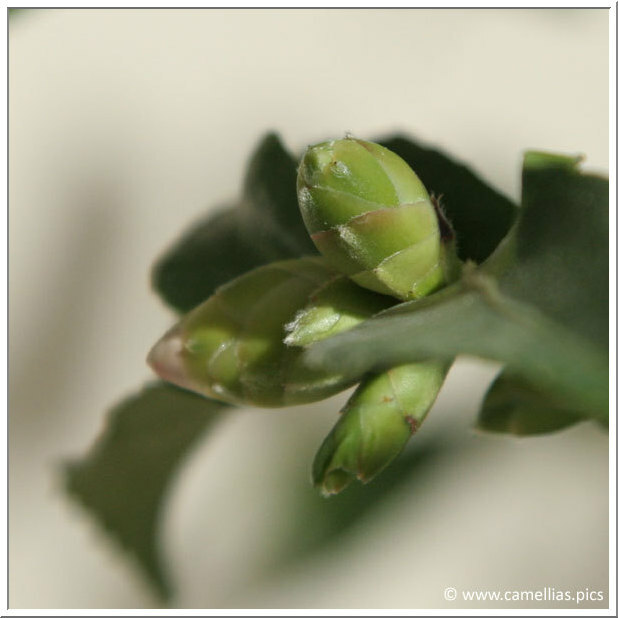 Buds grows very fast, from the beginning of summer to October. 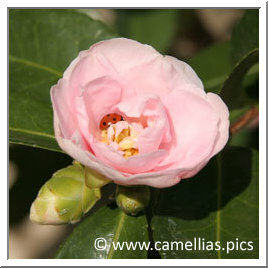 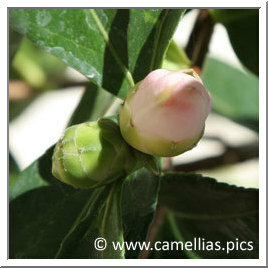 For winter or spring camellias, the buds growth can last during eight months.